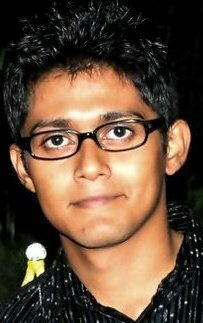 Rajarshi Banerjee completed his Gold Award in 2007 and has since actively engaged in the Promotion and Preservation of the Award Programme. A resident of Kolkata, currently pursuing his Bachelors in English from Calcutta University, Rajarshi regularly accompanies Awardees as Adult Mentor for their Adventurous Journeys. In addition, he visited many schools, colleges and other units; helped Award Leaders and Awardees to continue with the Award throughout the last 3 years, thus playing an important intermediary between the East Zone Award office and the Units. The Editor for “Reaching Out”- the Magazine of East Zone Award Authority since 2008 and a member of the Gold Award Holders' Society of India (GAHS), Rajarshi believes that doing the Award helped him discover his 'true potential' and that every young person should 'experience the Award'. We wish him good luck for the IGE.